Safeguards must be in place along the supply chain, from farming and fishing, through to food production, distribution and eventual sale to the end customer, through retail, catering and food service outlets. Data collection at every stage needs to follow guidelines for best practice and the legal requirements that inform HACCP (Hazard and Critical Control Points) and due diligence plans. Throughout the food industry this information needs to be stored so it is available to internal quality control audits and also external audits by bodies such as the British Retail Consortium (BRC) and environmental health organisations. Comark can help the food industry with temperature and humidity measurement and have a wide range of products that cover manual and automated data collection. 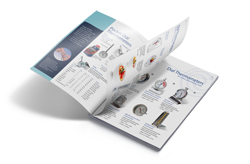 Comark’s understanding of the food processing environment and also the temperature monitoring requirements throughout the production cycle, mean that our instruments are designed with the demands of the busy food manufacturer in mind. 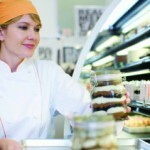 Food service operators and food retailers are more aware of food safety than ever before. 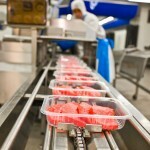 Growing awareness of safety scares and food waste issues, along with the compliance requirements of strict regulations, has spurred those operating in the food industry to find solutions and strategies that ensure the safety of its products. 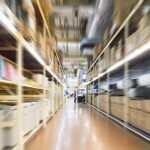 Manufacturers and producers require a supply chain operation that runs smoothly to ensure they can meet the requirements of their customers, getting perfect products delivered in excellent condition. The British Retail Consortium (BRC) works to make sure food policy is given sufficient importance. Many of the regulated food businesses within this supply chain will use HACCP (Hazard Analysis and Critical Control Point).